Have you ever struggled to make the vision in your mind come to life on your screen? Then this　book can help you realise your goal. 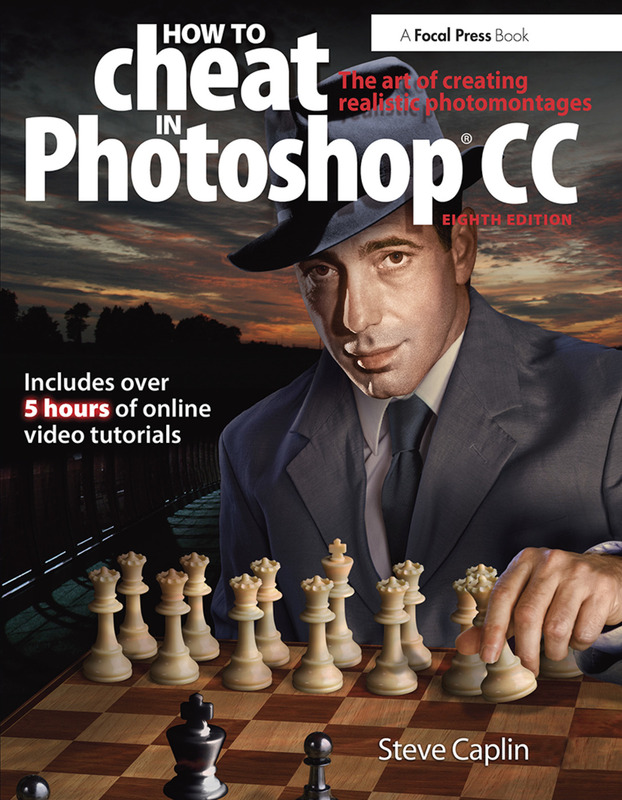 In this comprehensive revision of the best-selling How To Cheat in Photoshop,　photomontage guru Steve Caplin shows you how to get optimum results in minimum time, by cheating　your way to success. As a professional digital artist, Steve knows all about creating great work under　pressure. In this book he combines detailed step-by-step instructions with invaluable real-world hints,　tips, and advice to really let your creativity run wild. Fully updated to cover the latest features in Photoshop　CC, this invaluable resource shows exactly what methods Steve uses to create his own stunning imagery　used in advertising, publishing, and print media, in a project-based approach that is sure to improve and　inspire your own work. Steve Caplin is a graphic artist, illustrator, and journalist who loves to create images that blur the line between illusion and reality. His satirical photomontage work has been commissioned by newspapers and magazines around the world, including The Guardian, Men’s Health, and L’Internazionale, as well as advertising agencies such as Saatchi & Saatchi. He is the author of many best-selling Focal Press books.